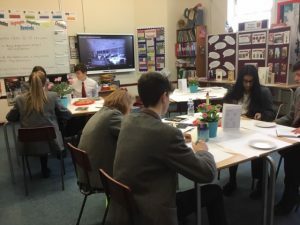 U5 students recently attended a Saturday morning revision class run by the English department on An Inspector Calls. 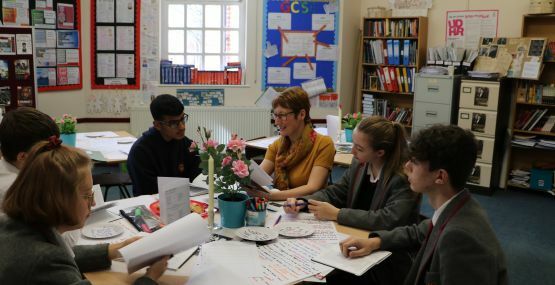 To encourage an atmosphere of 1912, Mrs Dawson’s classroom was set up as an Edwardian dining room. Music similar to that played on The Titanic enhanced the atmosphere. 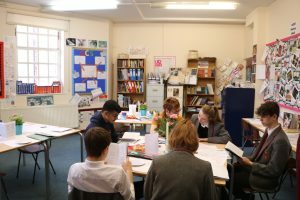 We hope that the students benefited from the revision class and we wish them every success in their English Literature GCSEs.